Looking for a reliable commercial plumber for your Des Plaines property? Commercial buildings require as much or more professional plumbing services as residences. Commercial buildings often receive more "abuse" on their facilities than do residences. Hiring a skilled commercial plumber in Des Plaines Illinois doesn't have to be a challenge. 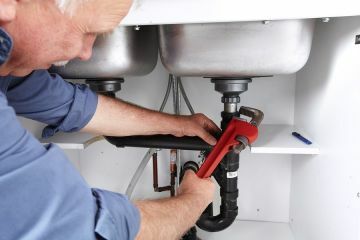 Jimmi The Plumber's commercial plumbers are hand-selected, fully licensed and thoroughly trained in the best commercial plumbing services in Des Plaines. Give us a call today for a free quote! Commercial properties face a multitude of plumbing issues. Jimmi The Plumber is on standby to handle all of your Des Plaines commercial plumbing needs. From clogged toilets and drains, to heating system failure and even regular maintenance programs, Jimmi The Plumber provides reliable plumbing services for a variety of commercial clients, including hotels, restaurants, retail, medical facilities, offices, apartment and condo HOAs, and so much more. Not only does Jimmi The Plumber provide plumbing services at the times when you need them most, we also can keep your plumbing systems in top condition year round with our maintenance services. Preventative plumbing maintenance will keep your business flowing smoothly and help you avoid down time and higher costs of repairs and equipment replacement. We'll fully inspect your plumbing and heating systems and tailor our maintenance services around your specifications. Give us a call, and we'll be happy to discuss maintenance options.